Rajyavardhan Singh Rathore elaborated on the initiatives, that he feels, have put India on the path of becoming a sporting powerhouse. 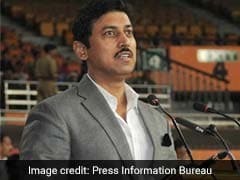 Sports Minister Rajyavardhan Singh Rathore has promised "surgical" precision in distribution of funds to athletes preparing for the 2020 Olympic Games, asserting that centralisation of the process has made bureaucratic hurdles a thing of past. Speaking to news agency PTI on the sidelines of a function to felicitate medal winners of the recently-concluded 18th Asian Games in Indonesia, Rathore elaborated on the initiatives, that he feels, have put India on the path of becoming a sporting powerhouse. "We have very clearly and very professionally divided our working between grassroots and elite sportspersons. The elite athletes are being looked after by a different set of professional people so that there is no bureaucracy," Rathore, an olympic silver-medallist in double-trap shooting, said. "We have just begun working on systems that can connect the athletes to the Target Olympic Podium Scheme (TOPS) absolutely straight, transparent and quick," he added. TOPS was instituted in 2014 to fund athletes considered strong medal prospects for the Olympics. Currently, the athletes are picked by a committee and the Mission Olympic Cell (MOC), under the Sports Authority of India Director General, is entrusted with the task of disbursing funds to those selected. The MOC has representation from the national federations and various project officers appointed by SAI. 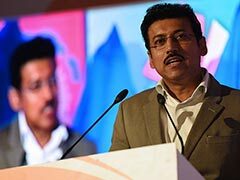 Rathore said funds are no longer an issue for Indian sports as lot of corporate houses have started contributing "generously". "We have now funds available for grassroots to elite. A lot of corporates are coming on board. They are putting in funds. Earlier, the funds were going in different directions but now we are combining and concentrating the flow," he said. Asked about his expectations from the Tokyo Olympics, especially after the country's best ever medal haul of 69 in the Asian Games, he said no effort would be spared in making the athletes battle-ready for the challenge. "We have already started working for 2024 and 2028 Olympics. The 2020 Olympics is right next around the corner and in our celebrations (for the Asiad success), we haven't forgotten (that) and reminded the athletes (as well). "Our real achievements will come in 2024 and 2028 Olympics. But nothing will be left undone even now. Very precise and surgical support will be provided to each athlete so that they give their best (in Tokyo). This period of 600 odd days is a lot, a lot can change positively for us," the Minister said. Explaining the workings of the TOPS committee, Rathore said members are not just tracking the performances of athletes but also their rivals. The committee comprises, among others, badminton great Prakash Padukone and former boxing federation secretary General P K M Raja. "These professional people of TOPS are not just following our own athletes but they are following their opponents as well.They are connecting with sports science and trying to give the athletes the best," he explained. 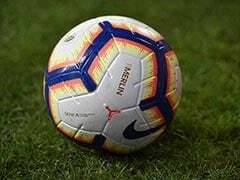 The Minister said the performance of the coaches and the concerned National Sports Federations (NSFs) is also being periodically monitored by the government. "Every three month, one sport has to give a presentation on what it has achieved so far. This team (the TOPS committee) is professionally observing the improvements, it is also looking after what's happening on the injury front for an athlete so that it can be kept to minimum," he said. Rathore was critical of the state governments' role in promotion of sports. "...sports is a state subject but citizens ask me and the central government 'what are you doing'?. The Prime Minister is living upto (these questions) and doing much more," Rathore said. "We have a supplementary role, however, we are doing in every aspects. It is the state governments who should be responsible for sports. How many state governments have supported sports and what is their budget?" he questioned. "We have the Sports Code and we are working on it. We are also combining the efforts of various federations," he said, referring to the long-pending national sports bill, which is expected to streamline administration. Lauding India's haul of 15 gold, 24 silver and 30 bronze medals in the Asiad, Rathore said it was heartening to see youngsters such as the teenage shooters deliver at the big stage. "It's very promising. The personal best scores have come at the Asian Games, usually they happen at practice. 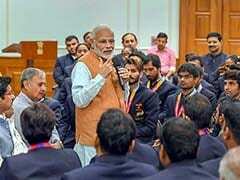 This is a new-found confidence among the athletes," the Minister said. 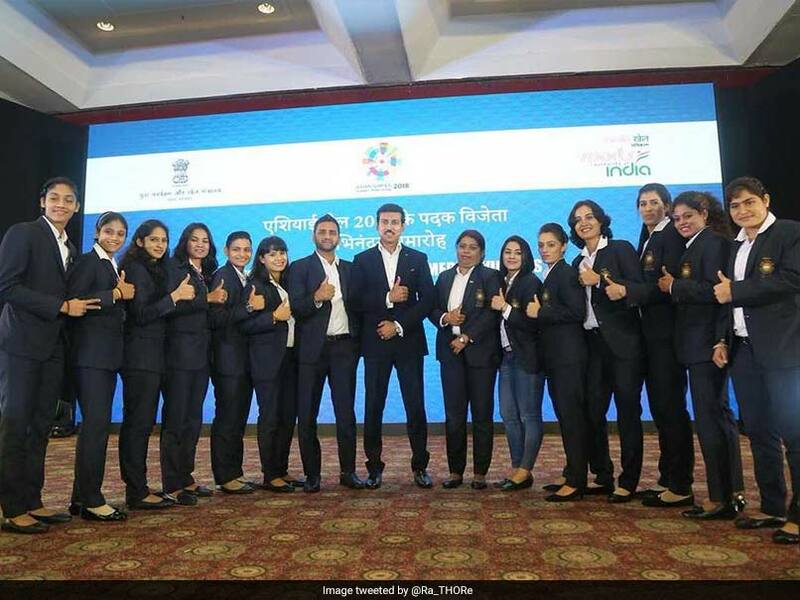 Rathore reiterated that the Khelo India School Games, which started only this year, will be a game-changer for Indian sports. He, however, remained non-committal on the possibility of India hosting any big-ticket event like Commonwealth or Asian Games in the near future. "If the Asian Games and Commonwealth Games were held in your own country, you could decide which events to skip and which event to include to increase your medals tally. "We have gone out and performed outside the country against odds," he signed off.